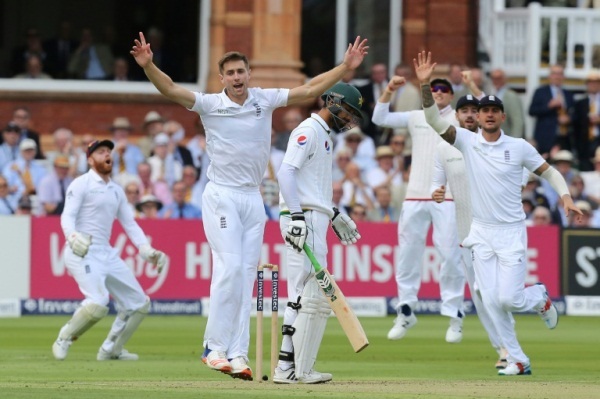 With Mohammad Amir shackling the stumps of Jake Ball to wrap up a famous Test victory in Pakistan’s cricketing folklore – a few of us are sceptical of the chances the green shirts might have to give the English team – especially their bowlers – a hard time in the forthcoming Tests. 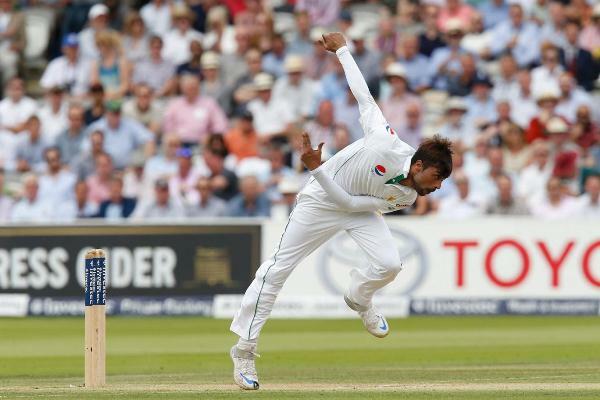 Mushtaq Ahmed says Mohammad Amir (pictured) was nervous at Lord’s. Yes, you have the jurisdiction to celebrate your success but not at the cost of not learning from your cathartic failures – especially those at the openers’ slot. 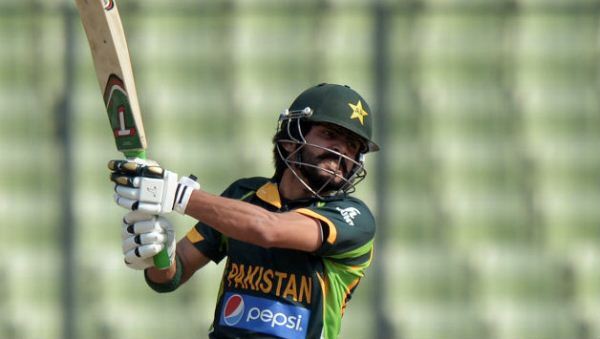 Imran Nazir, Shahid Afridi, Taufeeq Umar, Imran Farhat, Yasir Hameed, Shan Masood, Fawad Alam, Ahmed Shehzad, Nasir Jamshed – these aren’t the names of lottery winners, rather they represent the decaying class of openers Pakistan has produced since the retirement of stalwarts Saeed Anwar and Aamir Sohail post the 2003 cricket World Cup. A look at the career of Mohammad Hafeez dubbed The Professor – shows that although he averages a respectable 40.35 in his career, this value is skewed as Hafeez has played most of his Test matches in Asia (UAE or Sri Lanka). The Professor averages a meagre 20.75 outside Asia – a despicable number for a regular opener. His counterpart and partner-in-crime, Shan Masood, has even greater significant flaws – with an average of 24.50 in Test matches, he should either rectify his technique or be removed from the starting eleven, prior to the Manchester Test. Both Hafeez and Masood have a habitual tendency of poking deliveries outside their off stump channel, in turn either nicking it behind or chopping it into their stumps. To add to this, both are extremely vulnerable to the short and swinging deliveries. Masood even has the tendency to push at deliveries pitched on and around his legs – leading to edges that lead to dolly-like catches for outfielders. An amalgamation of poorly contemplated techniques with the return of James Anderson will likely exacerbate the issue for these gentlemen. Anderson has the guile; adroitness and deception of making the ball talk in both ways and thus can magnanimously magnify the flaws of Hafeez and Masood. Who to blame in such circumstances? Well, the Pakistan Cricket Board (PCB) is partly at fault as well. The National Cricket Academy, now headed by Mudassar Nazar, has stoically avoided the issue of resolving the opener’s crisis, rather it has diverted most of its crux manpower towards developing genuine pace bowlers. The issue needs to be taken up seriously if Pakistan is to move forward in this department in the forthcoming future. 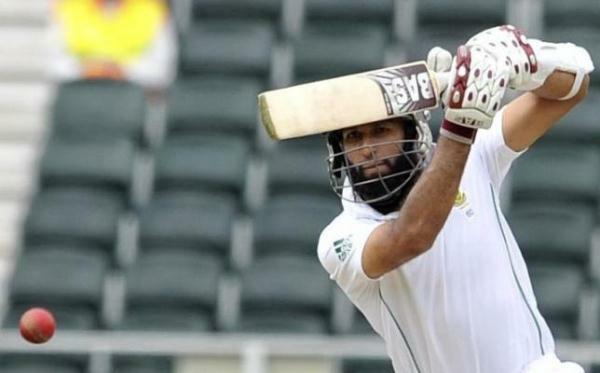 A large investment and patience is required to develop quality opening batsmen. It’s not as if openers can be plucked out of the deep blue sky. Just ask how England and South Africa have toiled to find a compatible and genuine opening partner for Alastair Cook and Hashim Amla respectively since the retirements of Andrew Strauss and Graeme Smith. Michael Carberry, Nick Compton and Alex Hales for England whereas Quinton de Kock, Rilee Rossouw and Temba Bavuma for South Africa have all been selected and dropped recently. 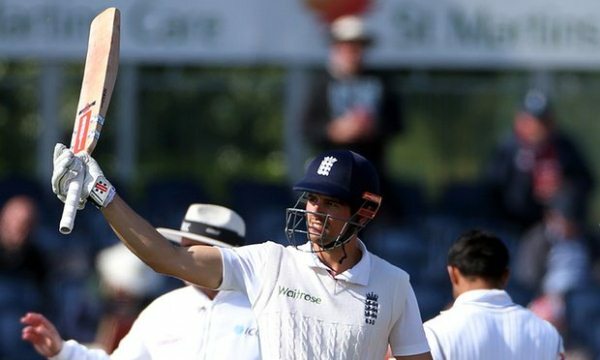 Alastair Cook became only the 12th player to reach the 10,000 Test-run mark. As for the other players on the list aforementioned, some have either been a victim of the political ambience at the PCB, while others have lacked consistency of five-day cricket and some have found a hard time maintaining proper fitness. Two names that do stand out from this list are those of Fawad Alam and Taufeeq Umar. Taufeeq averages a very respectable 37.98 in Test matches – however the most astonishing part of his career has been the upsurge in his average outside Asia where he averages a staggering 44.23, not bad for a player to be dropped, eh? The other anomaly who doesn’t quite fit the list is Fawad Alam – the sensational batsmen who made his name in the 2014 Asia Cup, by scoring a century in the final. He also averages 41.66 in his career. As far as opening the innings is concerned – both are much more viable options than Shan Masood – for whom the spotlight seems to big. To add to this, both Fawad and Taufeeq are excellent fielders at the point and slip positions – much better than Hafeez, who has a knack of dropping sitters. The real test for the cricket team will begin once the coin toss will flip at Old Trafford. 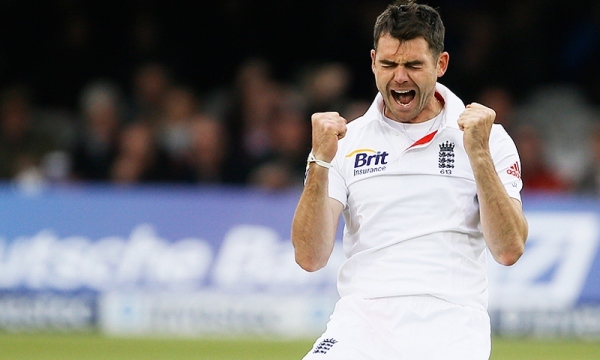 James Anderson and Stuart Broad can single-handedly demolish and uproot top-orders at will. To counter such measures, Pakistan needs to be meticulous in their thinking of how to utilise Masood. They can prepare him up well for the Test but eventually it is he himself who has to face his demons out on the pitch. 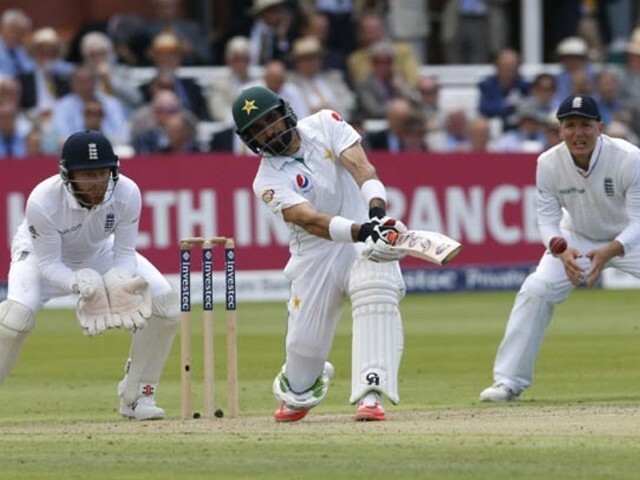 England will be looking to rock Pakistan hard – can the green shirts survive the oncoming onslaught? Whenever Pakistan team wins they forget their mistakes and people start praising them but they don’t focus on their weaknesses. Pakistan’s batting is still a worry, bowling is alright. So some excellent points are raised here. Very good article Osama!